GNOME, the Fedora Workstation default environment, has a well known Alt+Tab feature to switch apps. This control groups windows for a single app together. For example, multiple terminal windows appear as a single terminal app. The Alt+` (backtick or backquote) shortcut switches between those windows in a single app. But a helpful GNOME extension, Alternate Tab, changes this behavior. GNOME supports a Classic mode of operation. This mode allows GNOME version 3 to behave similarly to the previous version 2. The Classic mode groups a number of extensions together to achieve this goal. 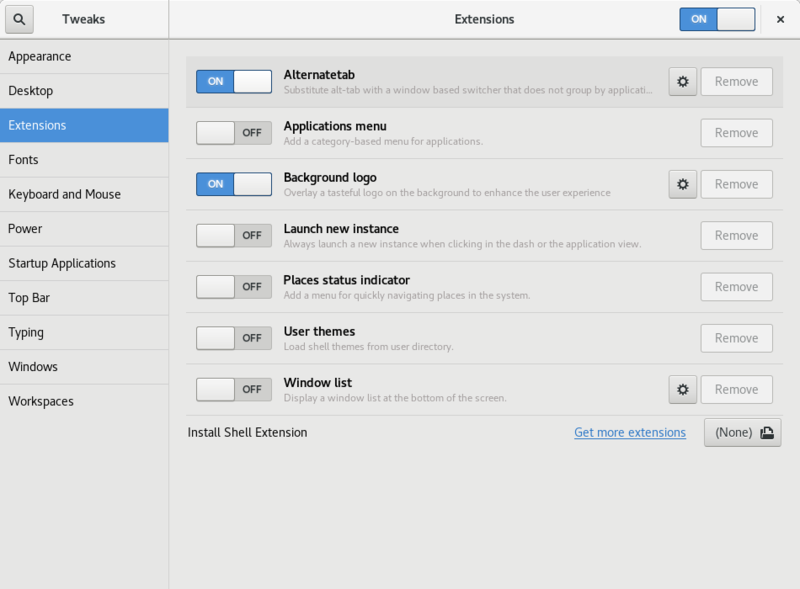 These extensions include the Alternate Tab extension. The extension switches behavior of the Alt+Tab display. With this extension, each window appears separately. Some users find navigation easier with this behavior in place. Once you follow this process, you can use the new Alt+Tab behavior. Notice how in this example, each terminal has its own entry in the selector control. How does one make the terminal (or any app for that matter) icon appear beside the name in the status bar? I wish people stopped advertising that extension – it really doesn’t do what most folks think it does. Its only purpose is to allow the Alt+Tab shortcut to behave differently – using the default app switcher or the non-default window switcher – depending on which session the user picked at the login screen. Excellent advice. Thanks for the detailed information on how to get to the desired goal with gsettings. Maybe if this is an ongoing problem Gnome should make it a little easier to change this behaviour without using extensions. That is, you configure it just like any other keyboard shortcut. That’s not true for me. I can’t set this shortcut, because when i try to press Super – it shows Gnome Shell Ppreview. When I try to press Super + Tab – it just switches to another window. So changing this via GUI is not possible for me. Oh right, that’s a wayland issue – there is currently no protocol for applications to grab all keyboard input, so the compositor will always activate its own keyboard shortcut before the applications even sees the corresponding events. This is excellent advice indeed, thanks! One question though: the “switch windows” behavior only cycles through windows on the current workspace. Is there any way to configure it to cycle through windows on all workspaces? Hey man this is what I longed for a long time and I did not know it was possible to get rid of default window grouping. Keep up posting useful tips! This is an excellent extension. It has useful options too, like “Show only windows in the current workspace”. I use the “one workspace per task” paradigm, which Gnome supports very well. When I Alt-TAB, I want the choice of apps to be limited to those running on the current workspace. What also helps is the “Workspace isolated dash” and “Windowoverlay icons” extensions.